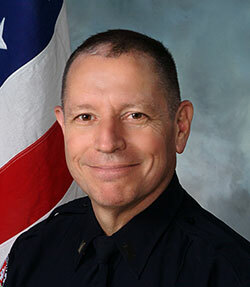 Chief Ronnie Robert began his tenure as Louisa’s Chief of Police in October, 2014, following a 40-year career in the Charlottesville Police Department, from which he retired in September, 2014 at the rank of Lieutenant. 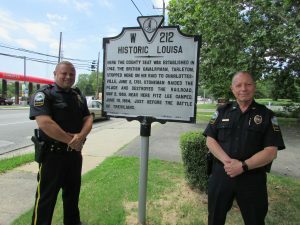 Chief Roberts is committed to policing excellence, cares deeply about community, and is passionate about employing a community policing model in Louisa. Community policing involves assigning officers to build relationships with citizens and business owners, and addressing problems collaboratively and proactively. While with the Charlottesville Police Department, Roberts was responsible for the Neighborhood Services Bureau, which oversaw the School Resource Officer program, the Traffic Unit and the community policing unit. For many years, he also served as the spokesperson for the Police Department, responding to print and television media outlet queries. 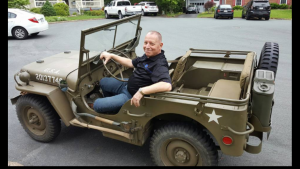 Chief Roberts, after reading Stephen Ambrose’s 1st edition of the book, Band of Brothers, has spent more than two decades learning more about Easy Company and has been privileged to visit with members of Easy Company interviewed in the book. 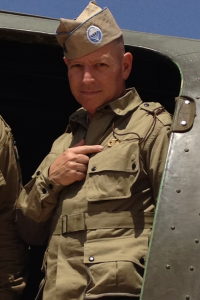 In 2011, Chief Roberts went on a Band of Brothers Tour with veteran Herb Suerth, starting in Toccoa, Georgia, the site of a World War ll paratrooper training camp, and moving through Easy Company’s engagement in the European Theater – from the Normandy beachhead where they landed on D-Day to Hitler’s “Eagles’ Nest “ outpost at Berchesgaden in the Bavarian Alps, which they were the first to reach. In 2012, Chief Roberts attended jump school-parachuting out of a C-47, the same type aircraft from which the men of Easy Company jumped- where he earned his jump wings, became a member of the Airborne Demonstration Team, and to which he hopes to return and assist with the jump schools. In addition to jumping out of a perfectly good airplanes, Ronnie enjoys driving his newly-purchased 1942 military jeep. He lives in Albemarle County with his family.